Ted Deutch, U.S. Representative for Florida’s 19th District, comes to the FAU Technology Business Incubator to meet the EGLA Communications team. 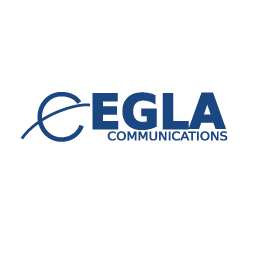 EGLA Communications is a local tech company that offers its clients’ media streaming and cloud storage services. EGLA Communications announces the personal visit of Mr. Ted Deutch with his PR Representative, Felicia Goldstein, at their local office in Boca Raton at the FAU Technology Business Incubator. Ted Deutch came to EGLA Communications’ office to gain a better understanding of what the company has been doing in the marketplace and to learn more about its new endeavors. EGLA Communications also offers its clients a media streaming service called “Mediamplify”. Mediamplify helps media publishers amplify and expand their audience reach through streaming their content seamlessly to many devices such as the web, phone, PCs, tablets, IPTV, and to cable operators without the high expense of satellite feeds. This product enables its clients to create their own Radio or TV channel within their own network or broadcasted to the world. While at the FAU Incubator Ted Deutch received a tour of the facility and was pleased to see that the Technology Business Incubator was actively involved in empowering entrepreneurs in the community. He was also very impressed with all the endeavors of EGLA Communications and he expressed interest in wanting to be kept informed all of its achievements. In a article on September 30th, 2012. The Miami Herald reviews the “startup” eco-system in South Florida. Our Chief Technology Officer and Andrea Simon and showcased in one of the pictures taken at the Technology Business Incubator (TBI).